The average household has at least $54,000 in debt, according to the U.S. Federal Reserve. The average household has at least $54,000 in debt, according to the U.S. Federal Reserve. Indeed, this is a lot of money but sadly, many people treat this as a way of life. They pay for these “bills” like they do normal bills such as utilities and electricity. This shouldn’t be the case. You need to get out of this deep ditch as early as possible, because if you don’t, not only is your credit history affected but your everyday living, as well. Even if you do a credit check regularly, it’s important to have a clear credit history as this will be what is looked at if you borrow money, apply for jobs, and other things. Here are 10 tips to get out of debt. • Don’t avoid the problem- The bills, the incessant phone calls and letters from creditors should not be ignored or avoided. If you do this, the problem is still there and won’t go away. As one classic and popular movie says, “You need to face them.” In short, you need to face the problem so that you can devise the proper actions. • Stop the cycle- One way that people usually go into debt is they make use of their credit cards like they were cash. Soon enough, you’d not only be sinking into debt, but heading toward oblivion! You need to stop and break the cycle of credit cards and debt. Stop borrowing from friends and relatives, too, and make sure that from now on, you continue on with a clean slate. • Write down all expenses- When you monitor your expenses and keep track of them, you’d know where there is room for improvement. One of the 10 tips to get out of debt is to keep a small notebook and a journal with you and just monitor how much you are spending in a day. You may not be able to lessen your expenses quickly but when you write down everything on which you are spending, you become aware of what you should take out of the equation. • Categorize all spending- When you categorize spending, you allow yourself to spend for only the most important things in life. Budgeting for your needs is one way to categorize this spending. Grocery shopping, at least once a week, will help you prioritize what is essential and vital in your life. 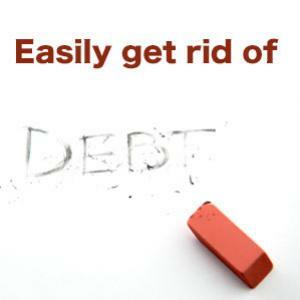 • Make a list of your debts- One of the 10 tips to get out of debt is through your budgeting process. You write down all your debts one by one and then pay them when you have the money. This way you won’t ever forget that you have a debt and this can, in turn, give you peace of mind. • Cut out your wants- You need to stay away from gym memberships that you don’t use or having lavish dinners once a week. Instead go for the less expensive options and make sure that when you spend for this expense, you get to use it. When you don’t, it’s like throwing your money in the garbage can. • Pay the maximum monthly amount possible- Living with debt can cause major problems--not only with your wallet, but with physical situations as well. When it comes to credit cards, you need to pay the maximum monthly amount possible and you need to ensure that it stays this way. You can do a credit check regularly to see if you have been doing anything wrong. • Stay disciplined- In other words you need to stop spending for unnecessary stuff and spend for the things that are truly and really important. You need to budget your expenses. You need to stay away from shopping malls, if you are an impulsive shopper. • Negotiate with your creditors- You’d be surprised to know that your creditors can be sympathetic to your plight. At this point you need to negotiate with them and air out your concerns. It is highly possible that your interest charges may be frozen or your monthly repayments can be reduced. • Seek the help of professionals- If you really don’t know what to do, you can ask for the help of professionals and experts in this field. They can negotiate with your creditors. They can budget with you and lay out a stress-free, debt-free life.